Got conflict? Are you an “overseer” over churches, associations, conferences, association of churches or a Bishop, Pastor or church leader? Are there arguments between ministries and are leadership groups going at it toe-to-toe over church issues? Is there an escalating divorce rate in your congregations with endless problems in homes? Increasing numbers of broken relationships and friendships? Are you noticing a decline in contributions, volunteerism, ministry participation and Sunday worship services? 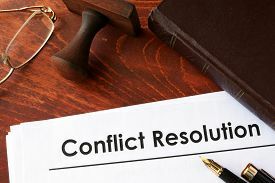 Do you find that you are investing more and more time and energy in resolving conflict; only to get less than satisfactory results? Unresolved conflict is like a smoldering ember; it is subject to reignite if it is not properly extinguished.